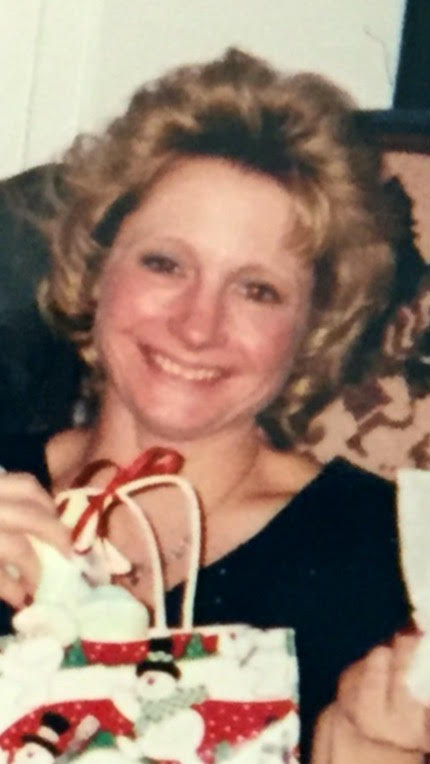 Nancy Pantoliano (Shultz) , 56 of Barberton, passed away November 27th, 2016 from complications of diabetes. She was preceded in death by her parents, Steve and Ann, and sister Kathy (John) Yanok. She is survived by daughters, Lauren Luck (John Eaton), and Hannah Vickery, grandchildren, Natalie and Mason, and brother John Shultz. A memorial service will be held ‪on Sunday December 4th, 2016 at 10:30 a.m. at Barberton Liedertafel, ‪191 2nd St NW, Barberton, Ohio 44203. Condolences and special memories can be shared with the family at www.heritagecremationsociety.com. We are so sorry to hear about Nancy. She had suffered for so long, and now she is with her parents and Kathy. Years ago, we were at her house for New Year’s Eve – she made the most awesome homemade eggnog! May you find comfort knowing she is now at peace. Keeping you in our thoughts and prayers. So sorry to hear about your Mom. I worked with her a long time ago at Barberton Hospital. She was a beautiful person and a lot of fun. You will be in my prayers. Ooppps, forgot to put my name!!! God bless your family Nancy. It’s been many years that Ive seen you…I’ll always remember your smile and sweetness. My heart breaks for your loss but knowing you are pain free is a wonderful thing. Thoughts and prayers to your family! Family, Please know my prayers and sympathies are with you. As others have mentioned, Childhood friends, school friends Nancy was always so nice and had many friends, We all have our memories and as school ends and life carries on we forge our own paths and with time those friendships sometimes subside, but when by chance you see an old friend years after It’s a wonderful feeling. That happened first in the 80’s at Toy’s R Us and then several times through the years in town or elsewhere. Hugging and talking as though time had not passed, but had. So as you catch up quickly, speaking of what you have gained, You do not see the time that has passed but the same face and personality you remember from youth, Those by chance meetings warm your heart and soul. I feel that warmth now remembering… Always in our hearts and memories Nancy. Lauren and Hannah I was so so sad to learn of your Mom’s passing. Such a fun and beautiful person. She made me laugh all the time. Always positive and that laugh was infectious. I worked with your Mom in Medical Records at Barberton Citizens Hospital a few years ago. She spread happines and laughter wherever she went. I am sure she is dancing on the clouds in Heaven. I will miss her so much. My prayers are with you girls and her family and many loved ones. Rest easy, Nancy, my friend.